PARENT, ÉTIENNE, journalist, lawyer, member of the assembly, public servant, and essayist; b. 2 May 1802 at Beauport, L.C., son of Étienne-François Parent and Josephte Clouet; d. 22 Dec. 1874 at Ottawa, Ont. The name of Étienne Parent is less famous than those of political personalities who were his contemporaries, such as Louis-Joseph Papineau or Louis-Hippolyte La Fontaine*. A few flattering terms applied to him are all that remain: the Victor Cousin of America, the Nestor of the press. Paradoxically, there is as yet no biography of him, and one can only speculate as to the reasons for this silence. Is it because the major part of Parent’s work consists of innumerable newspaper articles, and that articles are less accessible to curiosity than books or texts of speeches? Or is it that the debates for which Parent’s generation felt such passion have lost their brilliance, dimmed by the stormy ideological conflicts of the second half of the 19th century? Or is Parent’s “moderation” responsible for the less arresting quality of his thought by comparison with the exalted rhetoric of the leaders of the 1837–38 rebellion? No doubt varying degrees of probability can be attached to each of these hypotheses, but it seems that the relative oblivion into which he has slipped is due above all to the fact that the essential function of his ideas was to give inspiration, and less credit has been accorded to them than to the political and social achievements of which they were the source. In fact, Étienne Parent’s thought dominated the first half of the French Canadian 19th century. This man incarnated as did no one else the ambitions of a new social type, that of the intellectual and political élite, which at the turn of the 19th century was replacing the gentleman class of landowning seigneurs, and, along with the ecclesiastical leaders, resolutely taking hold of the destiny of the French Canadian people. He was to be called “Père Parent,” so much did he appear to be a prototype and an example. Robust shoulders, a sturdy neck, a massive head with a high, broad brow framed in thick hair, an authoritative, even bitter mouth, clamped tight upon unshakeable convictions, eyes whose unwavering look passed beyond an invisible audience, preoccupied it would seem to outdistance his thoughts in order to hasten the affirmation of conclusions already foreseen, desired, and decided upon: such is the impression given by the clear lines of a portrait of Parent in his maturity. A mere glance at this face makes one forcibly aware of certain essential characteristics of the personality: assurance, sturdiness, and determination. One feels, before learning it through the written word, that Parent was a man of the soil; that before handling ideas he had handled oxen and plough; that this reflective look had long been accustomed to the horizons of a countryside full of promise. 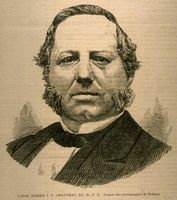 It is no surprise to learn through his son-in-law Benjamin Sulte* that he was “endowed with a Herculean constitution”; that he could “work 18 hours a day”; that “he produced by himself almost as much as all the journalists of Quebec put together.” One may furthermore easily accept that all his gifts were intellectual, and that he was awkward or clumsy in society. Moreover, all his life he suffered from an inability to talk readily. The essence of Parent’s life is that he transcends his period by his intelligence and frankness. He was one of the first to give thought to the destiny of French Canadians. With unrivalled lucidity and vigour, he defined “national” objectives which were to sustain not only his generation but succeeding generations for more than a century. Through two centuries of ancestors, Parent had his roots in the soil of Quebec. He belonged to the sixth generation of Parents in Canada. The forebear, Pierre Parant, who came from Mortagne in Perche, France, emigrated to New France on 9 Feb. 1634 with a group of settlers brought by Robert Giffard*. Following him, an uninterrupted line of Parants or Parents farmed the land on which he had settled at Beauport, some miles down river from Quebec on the north bank of the St Lawrence. Étienne Parent was the eldest of a family of 15 children, nine boys and six girls. As soon as his age permitted, he helped on the farm and attended a primary school at Quebec. His intelligence attracted attention. Although his parents were not rich, in 1814, when he was 12 years old, they sent him to the college of Nicolet for his secondary education. 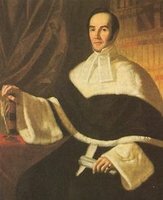 He had as fellow-students a future bishop, Charles-François Baillargeon*, 16th bishop of Quebec, and a future judge, Charles-Elzéar Mondelet. He spent five years at Nicolet. He was studious and methodical, and won several prizes. Each summer he became once more the young farmer turning his strength to the labours of the fields. 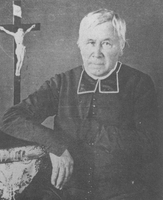 In 1819 he left Nicolet, and went to the seminary of Quebec to continue his studies. The teaching at the seminary was strongly influenced by the Cartesianism perpetuated in a textbook of the old régime, La Philosophie de Lyon. The ideas of Bonald enjoyed great popularity there, and much store was set by Bossuet’s Discours sur l’histoire universelle. Students’ exercise books of the period reveal that instruction in history disparaged France and praised England. Young Parent read all the books available in the library, and those lent by certain teachers. His memory was prodigious, and, according to one anecdote, he had among other feats learned a lecture on Bossuet by heart. He stood out from his comrades by the soundness of his judgement, his literary bent, and the precision of his ambitions. He was considered a young man who “gave promise of living by his pen” – an unusual phenomenon in his time. The opportunity came his way when he was still at the seminary. Times were alarming for French Canadians. The threat of a union of the two Canadas had been voiced in 1805 and again in 1807; a first proposal had been put forward in 1810. 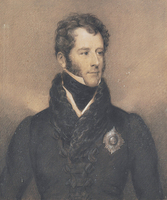 Governor Sir James Henry Craig* had suspended the newspaper Le Canadien in 1810. About the same time Papineau and John Neilson* joined the Parti Canadien, and in 1817 Le Canadien was revived; it was called the “Petit Canadien” to distinguish it from the “Grand,” which had existed from 1806 to 1810. 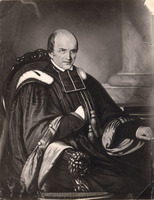 At the seminary, Parent struck up a friendship with Augustin-Norbert Morin*, who contributed to the Petit Canadien. 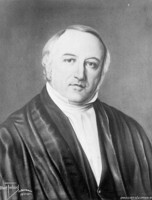 Morin obtained the collaboration of Parent, who published his first articles in the paper in 1819. Even before the end of his studies, Parent’s career was under way. The seminary, however, had other ideas, and forbade this activity. 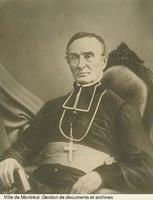 For that reason or some other, we do not know, Parent left the seminary in 1821, on the eve of his final examinations. His family then offered him employment, which he accepted, with a maternal uncle, Michel Clouet, a hardware merchant on Rue Buade in Quebec. This task soon wearied him, and he decided to return to the family farm to help his father in the fields. There in August 1822 destiny came to seek him: the owner and the editor of Le Canadien, Dr François-Xavier Blanchet* and Flavien Vallerand, offered him the editorship of the newspaper; Augustin-Norbert Morin, who had held this position since December 1820, had had to leave Quebec to study law at Montreal. The two men stressed the political situation: a new threat of union of the two Canadas was worrying French Canadians; a bill to this effect had just been announced in London. Parent hesitated, reflected, accepted. At 20 years of age he became editor of Le Canadien. The post was an enviable one, although not lucrative. Above all it was unstable, being threatened from both outside and inside. Le Canadien still opposed the dominant oligarchy, but no longer commanded the support of all members of the Parti Canadien. From his first appearance on this disputed tribune, Parent showed himself a fighting journalist. The characteristics that were to prevail throughout his life asserted themselves firmly: his astounding capacity for work, the rigour of his dialectic, the unshakeable persistence of his convictions. 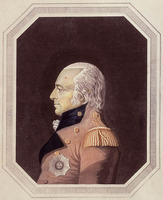 In vehement articles he fought and helped to bring about the failure of the plan of union, withdrawal of which Papineau and Neilson were to try to obtain when they went to England in 1823. Parent insisted on complete respect for the constitution of 1791, and demanded recognition of political liberties that had been flouted. Then, in 1823, La Gazette de Quebec (which had been started in 1764) became a political paper and an organ of the Parti Canadien. In March 1825 Le Canadien, deserted by its supporters, was forced to go out of circulation. Parent set about consolidating his knowledge and at the same time varying his activities. 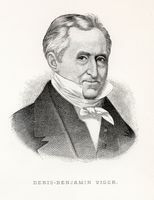 From 1825 to 1829 he studied law as a student in the office of Joseph-Rémi Vallières* de Saint-Réal, and later in that of Charles-Eusèbe Casgrain*. To support himself he had to give French lessons. In the autumn of 1825 he was taken on as editor of the French section of La Gazette de Québec. He was soon holding a number of offices: in 1827 he was appointed deputy French translator and law officer of the assembly of Lower Canada. 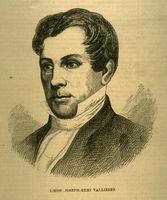 On 11 May 1829 he was called to the bar of Lower Canada. Shortly afterwards, on 30 June, he married Marie-Mathilde-Henriette Grenier, daughter of Gabriel Grenier, a Beauport cooper. Five girls and one boy were born of this marriage; Joséphine-Henriette was to marry Antoine Gérin-Lajoie*, Mathilde-Sabine was to marry first Évariste Gélinas on 3 Sept. 1862 at Quebec, then Guillaume-Sylvain de Bonald on 17 Feb. 1885, and Marie-Augustine was to marry Benjamin Sulte on 3 May 1871 at Quebec. Lower Canada experienced more and more difficult years. In the 1830s a generation of ardent young Patriotes threw themselves into the political struggle, several as members of the assembly, where they became rivals of their great elders. In 1826 Augustin-Norbert Morin had started the paper La Minerve, to support the Patriote party and teach French Canadians “to resist any usurping of their rights.” The 1830 revolution in France kindled admiration for the Men of July. Ardent spirits were rallied by the person and the voice of O’Connell in Ireland. The names of La Mennais, Lacordaire, and Montalembert acquired a magical quality. It was said that La Gazette de Québec was no longer sufficiently alert, and an attempt was made to start a new newspaper. As Parent had been refused a salary increase at La Gazette, the decision was speeded up. 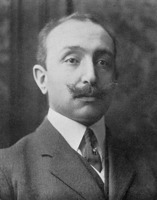 With the help of René-Édouard Caron, Jean-Baptiste Fréchette, Elzéar Bédard*, and Hector-Siméon Huot, he collected the necessary capital and undertook to revive Le Canadien once again. The paper was to be a bi-weekly, and would have its office at the “political centre of the district of Quebec,” on the Côte de la Montagne. The guiding spirit was to be Étienne Parent. On 4 June Parent launched the idea of a national, political, and patriotic association that would be under the patronage of St John the Baptist. The association was founded a few years later (1834) by Ludger Duvernay*. In every manner and by every means Parent endeavoured to rouse the communities of Quebec. He also published poetry and songs that quickly became popular, particularly the song of the Chouayen which poured scorn on cowards and defeatists. As a result of articles criticizing the Legislative Council in the Vindicator and La Minerve, Daniel Tracey* and Ludger Duvernay were kept in prison at Quebec from 17 Jan. to 25 Feb. 1832; on their return to Montreal, it was Parent who presented Duvernay with one of the two medals struck to commemorate this imprisonment. These were the most crowded years of Parent’s career, during which he sought to give expression to the consciousness of the French Canadian people at the same time as he informed and guided it. A philosopher by training, a journalist by temperament, a fighter by necessity, he made the fervour of his convictions felt in the pages of Le Canadien. In an open, disinterested fashion, with independence and competence, he treated all the burning questions that the political events of the day gave rise to, pointing out dangers, demanding justice, and standing as an advocate of law and order. At this time Papineau was still a “constitutionalist,” and Parent’s views coincided with his. 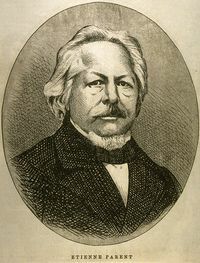 “Parent,” Joseph-Guillaume Barthe* wrote, “is in journalism what Papineau is at the parliamentary tribune.” Papineau was the political leader of the Patriote party, Parent its intellectual leader. His house in the Upper Town of Quebec, on Rue Saint-Joseph (now Rue Garneau), and later each of those he was to live in at Toronto, Montreal, and Ottawa, was the familiar meeting-place of all those who had some standing in the political world. The profession of journalist, however, was not in itself a sufficient source of livelihood. Parent had to accept other offices. 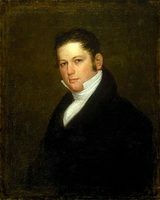 Already a translator and legal officer of the assembly, he was appointed on 30 Jan. 1833 first titular librarian of that body. He was also made responsible for overseeing the printing and proof-reading of the Journaux de la chambre d’Assemblée du Bas-Canada. All these posts brought him the modest salary of $800. 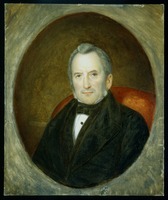 His two reports as librarian (7 Jan. 1834 and 27 Oct. 1835) described the deplorable state of the library, proposed purchasing volumes that were “urgently needed,” announced that he had established a new catalogue, and recommended leaving the library open “until dusk” to help those who could not frequent it during the day. 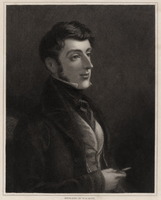 At the end of 1835, deeming his salary inadequate, he gave up his post as librarian, and shortly afterwards was appointed clerk of the assembly. The political situation was deteriorating more rapidly. An economic crisis from 1833 to 1836 caused serious unrest, which was not unrelated to the agitation of the years 1837–38. A large number of the Ninety-two Resolutions presented to the assembly in 1834 by Papineau, Bédard, and Augustin-Norbert Morin were derived from Parent’s Le Canadien. These resolutions prompted Britain to send a royal commission, in 1835, to inquire into the situation in Lower Canada. The report of this commission gave rise to Lord Russell’s deplorable resolutions of May 1837. In August the last session of the House of Assembly of Lower Canada was held. Public protest meetings took place in increasing numbers from spring to autumn. Then occurred the bloody clash between the Fils de la Liberté and the Doric Club at Montreal (6 November), the six counties’ address (13 November), the uprisings at Saint-Denis (23 November), Saint-Charles (25 November), and Saint-Eustache (14 December), and the flight of Papineau. Parent incurred the reprobation of several Montreal Patriotes. La Minerve insulted him, and in the autumn of 1837 reproduced the decree of the Comité Central et Permanent which declared him a “traitor to the nation.” He nonetheless persisted in denouncing excesses both on the governmental and on the Patriote side, and thus earned the ill feeling of every one. “There is no middle course left: either the leaders of the unrest of which we are beginning to taste the poisoned fruits knew that they would let loose in society the most disastrous passions, or they had not foreseen it; in the first case they have rendered themselves guilty of a great villainy, in the second, they have shown a great lack of foresight, which must cause them to be declared unworthy to guide the people’s destinies” (25 Sept. 1837). After the battles at Saint-Charles and Saint-Eustache, Parent remained silent until the end of 1837. He was horror-stricken by the tragic events, whose consequences he had, alas, predicted. When he took up his pen again it was to plead in favour of the exiles, who had nevertheless treated him as a renegade; it was to try to repair the evil and to urge Britain to understand the lesson of 1837. He demanded a responsible government, as the only means by which long-accumulated grievances could be met. “We have merely the name and shadow of a constitutional government,” he wrote on 14 Feb. 1838. A few weeks after the departure of the governor, Lord Gosford [Acheson*], the 1791 constitution was suspended. 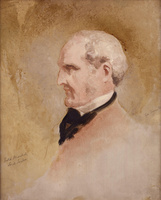 Government was reduced to a Special Council directed by Sir John Colborne*. Two days later, on 26 Dec. 1838, he was arrested, at the same time as the printer of Le Canadien, Jean-Baptiste Fréchette. He was accused of “seditious schemings” and taken to the prison at Quebec. Despite his endeavours to obtain a trial, he remained there until 12 April 1839. His release was secured by a writ of habeas corpus. The cold and bad conditions in the prison made him almost deaf, and he was to remain afflicted with this infirmity until the end of his life. Even in prison he continued to direct Le Canadien and publish articles in it, thanks to an ingenious stratagem like that resorted to by the young Duc d’Orléans at Clairvaux: regularly a young messenger, Stanislas Drapeau*, brought to him in prison a faked tart that contained newspaper clippings, news, and messages; by the same means, Parent sent back outlines of articles and corrected proofs. When he came out of prison he did not regain his post as law officer, and concerned himself only with Le Canadien. Parent’s dialectic was not without moments of stupefaction, even of revolt. 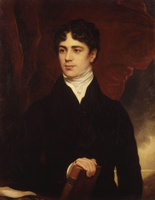 In December 1839 and January 1840 he gave a bitter account of the debates in the assembly of Upper Canada on the plan of union proposed by the governor, Lord Sydenham [Thomson*]. He remarked on the distrust, even the contempt of the Upper Canadians, and noted the injustices and oppression that union might bring for his compatriots. For a while he was fiercely anti-unionist. 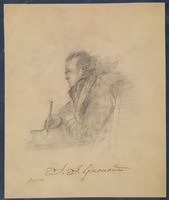 In January 1840, with François-Xavier Garneau*, he headed a committee of 40 prominent citizens which was responsible for collecting signatures on a petition against union. They obtained 39,928 signatures [see Caron]. The Act of Union was, however, approved in England on 23 July 1840, and on 28 August Louis-Hippolyte La Fontaine, prompted by Parent’s initial thesis, published in L’Aurore des Canadas his “Address to the electors of Terrebonne,” a programme-manifesto that accepted the principle of union and recommended collaboration with the Upper Canadian Reformers, with the object of gaining ministerial responsibility. Parent published the address in Le Canadien of 31 August, and again began to hope for the possible effectiveness of union. On 20 October, with an electors’ committee of Quebec, he contributed to an “Address to the electors of the whole province,” which favoured union and endorsed La Fontaine’s programme. Despite these political vicissitudes, he continued to concern himself with the intellectual progress of his compatriots. For a long time Le Canadien had been receiving newspapers from Paris, and had been reproducing numerous articles from them in its columns. In the autumn of 1840 Parent and Jean-Baptiste Fréchette decided to use these articles as material for a special journal, which would also publish Canadian works “bearing the mark of excellence.” They launched Le Coin du feu, a weekly review that lived only a year, from 21 Nov. 1840 to 13 Nov. 1841. The Act of Union was proclaimed in Canada on 10 Feb. 1841. In the first assembly elections for the new United Canada (or Province of Canada), Parent stood as a candidate in Saguenay County, and was returned by a majority of three votes on 8 May 1841. He attended the first two sessions of the new parliament at Kingston, from 14 June to 18 Sept. 1841, and from 8 Sept. 1842 to 12 Aug. 1843. In Le Canadien he persisted in his arguments that the greatest possible advantage should be taken of the union, pleaded for the equality “of the two populations and the two countries,” and urged confidence in the government. He was the invited speaker on the occasion of the first celebration of Saint-Jean-Baptiste day at Quebec, on 24 June 1842. He submitted to the assembly a bill proposing that French be recognized as an official language. His partial deafness prevented him, however, from discharging his responsibility as a representative of the people in the way he would have liked. When the office of superintendent of public instruction was created, the governor, Sir Charles Bagot*, offered Parent the direction of the French section of the province, but Dr Jean-Baptiste Meilleur was finally chosen. La Fontaine, who had just formed a cabinet, invited Parent to assume another high public office: on 14 Oct. 1842 he was appointed clerk of the Executive Council. He had to leave Le Canadien, which he had directed for nearly 15 years. On 21 Oct. 1842 he published in it his last article, a “farewell to his readers.” He was 40 years old. A second stage in his career was beginning: that of public servant, writer, and lecturer. 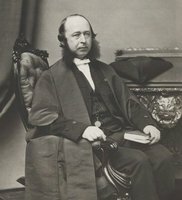 In 1847 Parent advanced to further stages in the governmental hierarchy: on 22 May he was appointed assistant secretary of the Province of Canada, at the same time as an English-speaking colleague, Edmund Allen Meredith*. Later, at Quebec, in the winter and spring of 1852, he delivered four other lectures designed for various professional groups: “De l’importance du commerce” (15 Jan. 1852); “De l’intelligence dans ses rapports avec la société” (22 Jan. and 7 Feb. 1852); and “Le sort des classes ouvrières” (15 April 1852). In the same year Le journal de l’instruction publique published an article of his on “Pierre Bédard et ses deux fils.” Through these audiences, as previously through those of Montreal, Parent spoke to the French Canadian people as a whole, solemnly calling on them to work for their material and intellectual advancement. He was already one of the most respected and heeded among the older members of the French Canadian élite. Since the ministry of La Fontaine and Robert Baldwin* and the actual recognition of ministerial responsibility in 1848, the struggles of even the recent past had grown blurred in people’s memories. He was the friend of all of his contemporaries – journalists, politicians, civil servants – who had some standing in public life. This phase of Parent’s existence has no history other than that of a conscientious public servant. 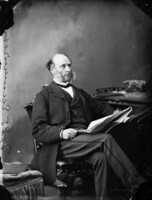 In 1866 he once more accompanied the government, when it went to Ottawa for good. 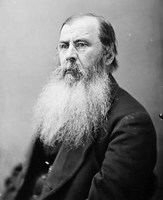 On 29 May 1868 – a new step upward in public administration – he was appointed undersecretary of state in the federal government, a post he was to occupy until retirement in 1872. He then lived two more years. Parent, who had never ceased to be a believer or to attend church, had nevertheless, in Benjamin Sulte’s words, “long maintained a scepticism, which worried him.” He edified his friends who visited him regularly during the three weeks of his last illness. He was already deaf, and a rapidly developing cataract made him almost blind. He spoke of nothing but the rebellion of 1837–38 and the prison where he had been detained. He passed away on 22 Dec. 1874 at Ottawa. His wife survived him by 16 years and also died at Ottawa, at the age of 86. Étienne Parent’s life is surprising in its continuity, despite its two phases marked by the activities of the journalist and those of the public servant, two phases which moreover coincide in a strange way with two periods in the evolution of the French Canadian people. As astonishing in their consistency are the dominant elements of his thought, which, enriched by the fuller information and the broadening and deepening influences brought to it by events, remained centred around one unshakeable preoccupation: his concern for the destiny of the French Canadians. In seeking to determine the forms this concern took, one must not lose sight of the ecology, social structures, and mentality of Quebec society, and particularly the political situation, at the time when Étienne Parent was born. He was of the second generation after the conquest. 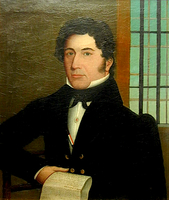 When he was a student at the seminary (1820), Papineau, at 34, had been a member of the assembly for 11 years and speaker of the assembly for five. Papineau was at the pinnacle of his political glory. He was the most illustrious combatant in the epic parliamentary struggles which, over the almost 30 years the constitutional regime of 1791 had been in force, made the claim for redress of violated rights heard. The first period of Parent’s professional life and ideology was marked by the bitterness, pugnacity, and aggressiveness that the continuation of these struggles required. However, once Parent became convinced, after the equivocations and dramas of conscience occasioned by the setting up of the union government, that the new regime allowed hope for political stability and self-government, he conceived his task and that of his compatriots to be to consolidate and use political power with an eye to the cultural autonomy and “national” interest of French Canadians. Accordingly, Parent, the man who favours continuity, stands in contrast to Papineau, the man who chooses separation. In them also two mentalities are opposed, two visions of the French Canadian world that were associated with two regions, with two cities that had long been the poles around which the dialectical tensions of French Canadian society had been fashioned: Montreal and Quebec. Montreal was the commercial metropolis, the city of competition, the place of symbiosis where two Canadian peoples, the English-speaking and the French-speaking, confronted each other; Quebec was the fortress city, the political and religious capital, the “citadel of memory.” Parent represented a certain Quebec way of being a French Canadian. More profoundly, and the one trait accentuated the other, he was a man of the soil. Without attaching undue importance to atavism or to environmental influences, it is impossible not to recognize in Parent a man who, born on the land, and having worked on the land, identified himself with the small paternal homestead that remained in his eyes a microcosm of the great. Parent also owed to his country origin his physical attributes and several moral and intellectual characteristics. A desperately hard worker, he detested idleness. He was perseverance itself. Consequently he was opposed to any form of defeatism. If these attitudes are not taken into account, one can scarcely understand some of his ideological positions. He was sceptical of if not hostile to the seigneurs or the descendants of the nobles of the old regime, because he blamed them for having been idle, for having lacked the ability to be architects of social progress; it was they who must be held responsible for the backwardness and inferiority of French Canadians in the economic and industrial spheres. Likewise, Parent was ruthless towards all those who, taking their example from the seigneurs, made themselves the instruments or accomplices of the new master, those whom the people had christened chouayens and whom Parent lampooned in a scathing song. Finally, it is in this same light that one must interpret Parent’s opposition to all those who after 1837 advocated the annexation of Canada to the United States: annexation appeared to him a solution of least resistance, a lack of faith in the national destiny. Étienne Parent’s thinking, it must be repeated, turned around an immovable centre: the “national” idea. Before him and at the same time, many other politicians, Patriotes, and publicists had spoken of the “nation,” but beneath this concept was as a rule a lyrical, sacred entity, of a more or less abstract character. Parent’s talent and originality lay in having been the first to become aware of the realities of the French Canadian nation, and to propound a definition of them in a coherent body of doctrine. The formulation of this doctrine was a gradual one, and reflected the two periods of his life. From the beginning, however, its elements were clearly defined. These basic ideas, latent in the articles of Parent’s first period, became evident in the lectures of the second. In them the influences that had contributed to shaping his ideology also stood out more clearly. A variety of paths criss-cross in this ideology, yet they blend in sweeping designs often lyrically conceived. With the providentialist vision of history inherited from Bossuet, Parent combined philosophical credos from the age of enlightenment. A reader of Rousseau, he believed in the fundamental goodness of man. Having read the works of Condorcet and Buchez, he was convinced of the inevitability of an indefinite progress of human nature and of society, a progress and improvement that were “intended by God.” From La Mennais he derived the titles and inspiration for at least two of his lectures. He was acquainted with the writings of the socialists, Saint-Simon, Fourier, and Louis Blanc, and not infrequently passages of his lectures bore the imprint of a utopian ideal. In all that concerned economic matters, he was a disciple of the physiocrats and a determined supporter of free trade. A long thesis would be required to do justice to the whole of Parent’s view of society, which led him to consider society as collective man in the service of individual man, actuated by a spirit of fraternity, whose progress was attainable only through an equilibrium that respected the double principle, material and spiritual, of human nature. In short, Parent’s “moderate” thought looked for a harmony, analogous to the ambition of Comte’s social view, between order and progress. Parent wanted each of his lectures to bear on a theme “closely related to our nationality,” and used his ingenuity to illustrate in them how this nationality should express itself and progress. Now that the house of government had “become habitable,” politics must turn to the material and intellectual questions on which the social and economic advancement of a young country depended. Parent identified areas of disquiet, made diagnoses, and prepared plans of action. French Canadians must without delay initiate themselves in political economy: their elders had performed their task, and the younger must now perform theirs; the former had been orators defending popular rights and from now on “enlightened economists” were needed. The new age would be one of industry. The new nobles of America were the industrialists. French Canadians should pay honour to industry by their acts; if they did not “the mass of the people . . . exposed to the influence and denationalizing action of the leaders of industry of the rival race . . . will with time lose their national character.” Hence the necessity for a system of education planned to meet the specific needs of the French Canadian people, and not “inspired by foreign canons,” for like Montesquieu Parent knew that laws can neither be exported nor imitated from country to country. He proposed free compulsory education. A sometimes utopian intellectual, he put forward a general plan of education of which the aim was nothing less than the creation of “a class of intellectuals” to whom alone public administration would be entrusted. He spoke of popular education, and as he used it this term had a resonance very close to the one it has now: newspapers, “the people’s book,” must discuss economic questions and all the problems with which an enlightened social life requires familiarity. There are unpublished works of Étienne Parent at the PAC, ANQ, and ASQ. These archives, as well as the AAQ, AJQ, and ASN, have material on Parent. For more information on the documents in the archives, consult: Urbain Blanchet, “Étienne Parent, ses opinion pédagogiques et religieuses,” unpublished des thesis, Université Laval, 1965. Interesting information on Parent is found in P.-E. Gosselin, “Étienne Parent et la question politique au Bas-Canada de 1836 à 1838” (unpublished typescript at the Bibliothèque du séminaire de Québec, Québec, 1939). [J. G. Lambton ], Le rapport de Durham, M.-P. Hamel, édit. et traduct. ([Saint-Jérome], Qué., 1948). J.-G. Barthe, Souvenirs d’un demi-siècle ou mémoires pour servir à l’histoire contemporaine (Montréal, 1885). F.-X. Garneau, Histoire du Canada depuis sa découverte jusqu’à nos jours (4e éd., 4v., Montréal, 1882–83), III. 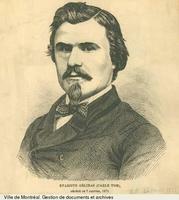 Antoine Gérin-Lajoie, Dix ans au Canada de 1840 à 1850; histoire de l’établissement du gouvernement responsable (Québec, 1888). 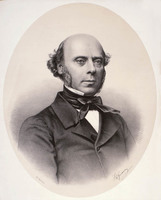 P.-E. Gosselin, Étienne Parent (1802–1874) (Classiques canadiens, 27, Montréal et Paris, 1964). Marc Lebel et al., Aspects de l’enseignement au petit séminaire de Québec (1765–1945) (SHQ, Cahiers d’histoire, 20, Québec, 1968). Monet, Last cannon shot. P.-E. Parent, Histoire généalogique des familles Parent-Grenier, Fournier dit Préfontaine et Lamarre ou Delamarre (Ottawa, 1931). Benjamin Sulte, “Étienne Parent,” Mélanges historiques, Gérard Malchelosse, édit. (21v., Montréal, 1918–34). Turcotte, Canada sous l’Union. Mason Wade, Les Canadiens français de 1760 à nos jours (L’Encyclopédie du Canada français, III, 2e éd., 2v., Ottawa, 1966), I. Marcel Cadieux and Paul Tremblay, “Étienne Parent, un théoricien de notre nationalisme,” L’Action nationale (Montréal), XII (1939), 203–19, 307–18. Bernard Dufebvre, “Étienne Parent, le « renégat »,” RUL (Québec), VII (1953), 405–12. Roger Duhamel, “Le journalisme,” Cahiers de l’Académie canadienne-française (Montréal), no.3 (1958), Essais critiques, 126–30. 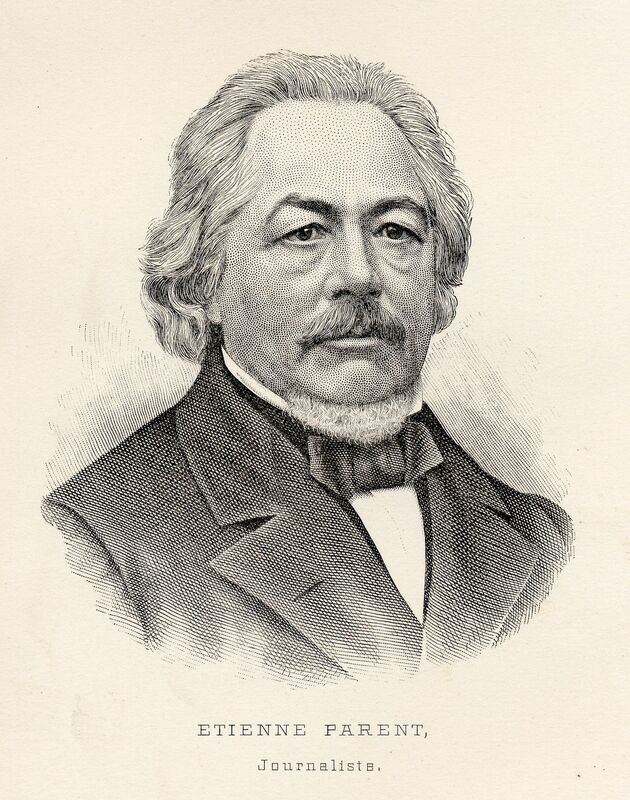 Fernand Ouellet, “Étienne Parent et le mouvement du catholicisme social (1848),” BRH, LXI (1955) 99–118. Gérard Parizeau. “Mon ami Étienne Parent,” L’Action universitaire (Montréal), II (1935–36), 50–51, 64. Léon Pouliot, “Une leçon d’histoire d’Étienne Parent,” BRH, LX (1954), 71–73. Antoine Roy, “Les Patriotes de la région de Québec pendant la rébellion de 1837–1838,” Cahiers des Dix, XXIV (1959), 241–54. Jean-Charles Falardeau, “PARENT, ÉTIENNE,” in Dictionary of Canadian Biography, vol. 10, University of Toronto/Université Laval, 2003–, accessed April 18, 2019, http://www.biographi.ca/en/bio/parent_etienne_10E.html.